If you have ever wanted to sit on your own medieval throne, you have come to the right place. 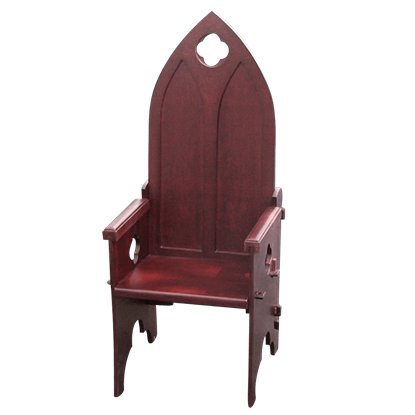 Here you will find all our medieval and fantasy chairs, thrones, and stools that will add undeniable style to your home or reenactment setting. 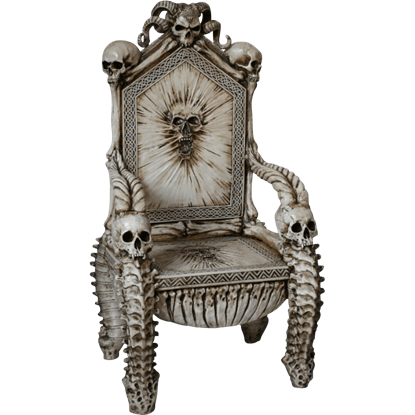 We offer life size cold cast resin thrones that have been hand painted to look like ancient stone, as well as gothic thrones and chairs styled to look like they are made of weathered human bones. 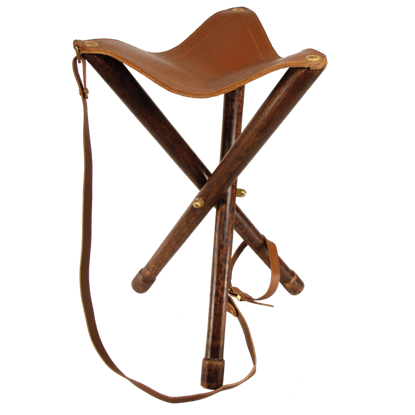 We also carry folding stools and chairs that are great for medieval camping and historical reenactment. 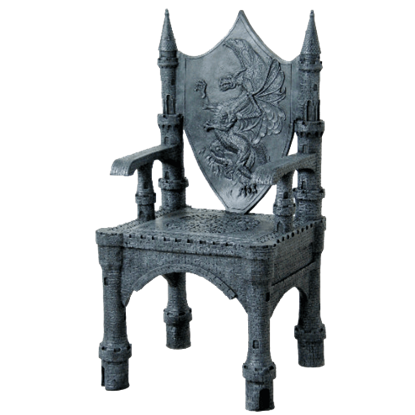 Whether you wish to feel like the noble ruler of your own kingdom or simply need something to sit on with authentic medieval styling, shop this category for all our medieval and fantasy seating options. They say that your home is your castle and fortress, but no castle is complete without a throne. This Celtic Dragon Throne is made from cold cast resin and allows you the opportunity to seat yourself like a true dragon warrior would. This beautifully designed throne not only belongs in a castle, it is a castle! 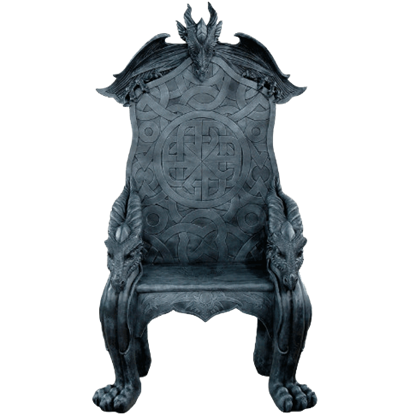 The Fantasy Dragon Castle Throne is a highly-detailed piece of furniture made from cold cast resin and hand painted with an imposing dark gray color. Romans were a clever lot, and also sometimes concerned with creature comforts. After all, why sit on the ground when you could bring a chair? 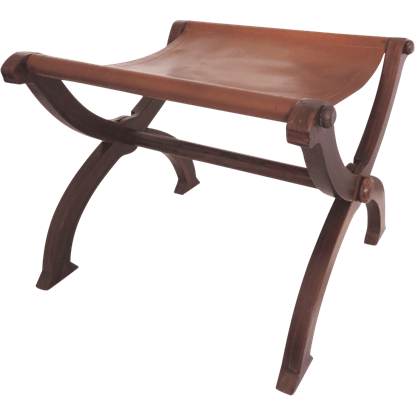 This Folding Roman Stool is easy to carry, and it certainly beats sitting on the ground! Sometimes, you just need a place to put your feet up. Or anything else, really. 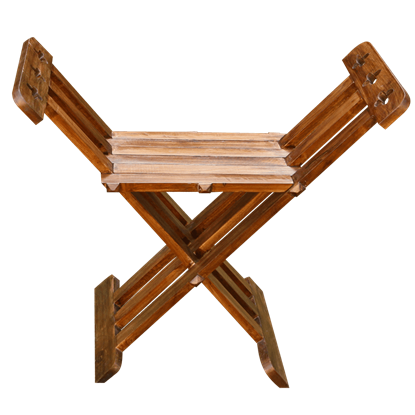 If that is the case, than this Medieval Folding Stool is a great temporary pedestal for the intrepid user to have when they want a quick, portable stand. Your love of medieval culture should be displayed in all areas of your home. 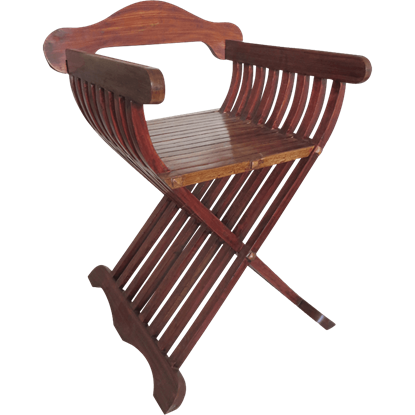 The Medieval Wooden Folding Chair allows you to do just that, offering you the chance to bring medieval charm into practically every room of the house. You can direct your army of the dead and look regal doing it when you sit atop the Skull Throne. This seat is sure to make you the most intimidating figure at dinner, but you will not be the only head at the head of the table. Do you ever feel like you just need to sit down and take a break? 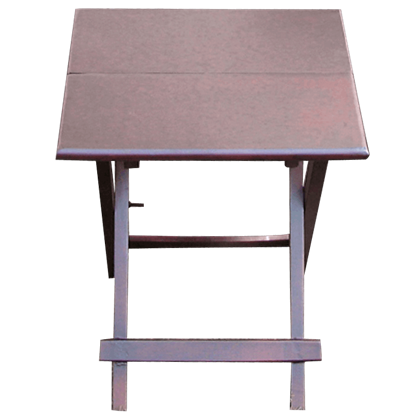 With this Tripod Stool - Large, you can, virtually any time you want! This tripod stool has the distinct advantage of being light-weight and portable, as well as sturdy. Do you ever feel like you just need to sit down and take a break? With this Tripod Stool - Medium, you can, virtually any time you want! This tripod stool has the distinct advantage of being light-weight and portable, as well as sturdy. Between battles, a medieval soldier needs certain equipment to use at the campsite. The Wood and Leather Folding Stool is one such piece of this equipment, allowing any soldier in armor to take a brief rest during a lull in action. In the ancient days, not everyone could seat themselves upon a throne. 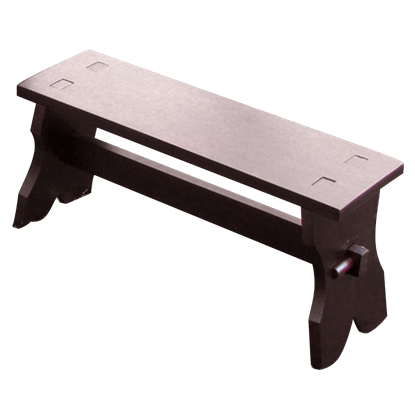 Many had to settle for benches, although if it happened to be a bench like this Wooden Medieval Bench, it was still a fine looking seat to rest upon. A nice stool can have a dozen or more uses. 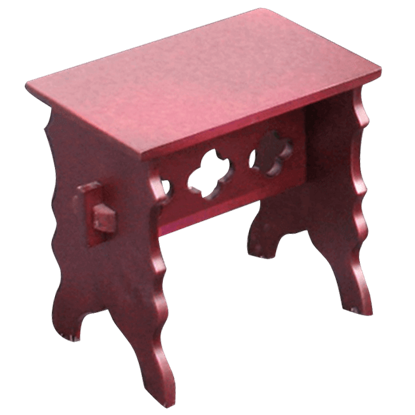 This Wooden Medieval Stool is just that - a fine accent for your medieval decor, which can be easily used for a variety of tasks, all while adding a colorful touch of hardwood appeal. A throne is actually a hard thing to come by. For all those who have ever wanted to sit on, and even own one, this Wooden Medieval Throne is a great piece of furniture to have, allowing you to seat yourself like a real royal!